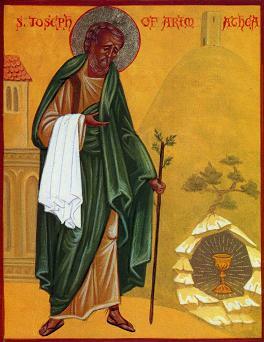 I would like to wish Orthodox readers a blessed Lazarus Saturday, Palm Sunday, and Holy Week. Pascha is almost here! The saint’s story is a fascinating modern version of those ancient Roman aristocrats who gave up their riches and status to take up the monastic cross. Business tycoon Vasily Nikolaevich Mouraviov and his wife Olga donated 44,000 rubles in gold coin (worth almost one billion dollars in today’s money) to charity and both became monastics before the First World War. Vasily took the name Seraphim after Saint Seraphim of Sarov; Olga became Christina (and later Seraphima upon taking the schema). Both survived the Bolshevik Revolution, though the Communists murdered their son. They suffered much and gave much. Saint Seraphim’s feast just passed—March 21 (currently April 3 on the Gregorian calendar). May he pray for us. If you ever visit Vyritsa, south of Saint Petersburg, you may visit the chapel where these two laborers for Christ rest. What a harrowing thought that they lost their son. This is true piety, and puts the empty holiness signalling currently going on in some ‘Christian’ circles concerning the ‘rapefugees’ to shame.